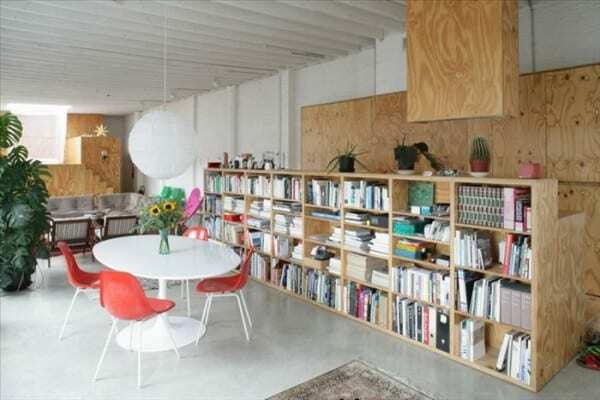 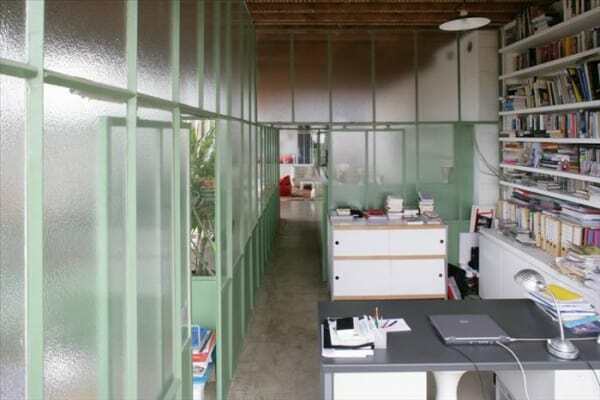 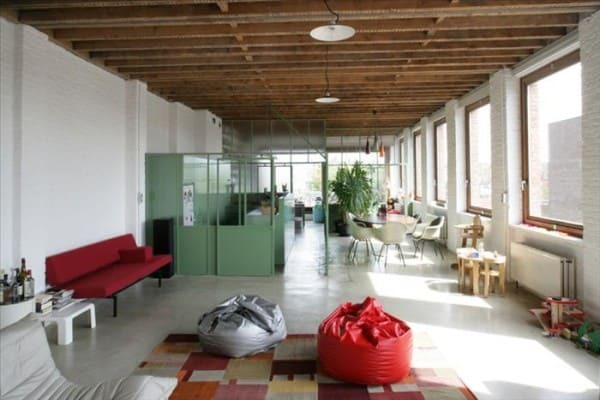 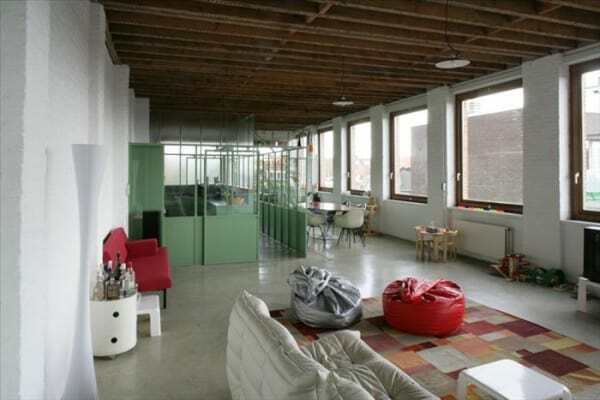 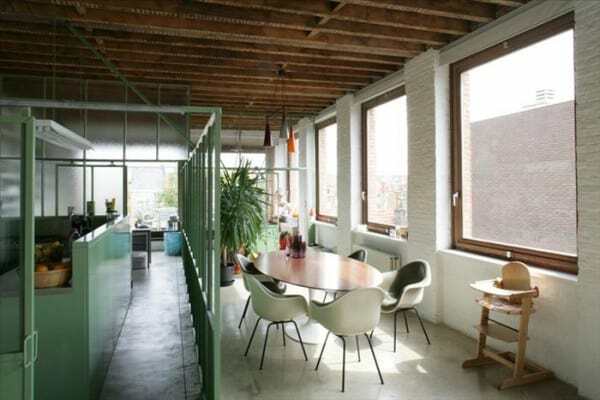 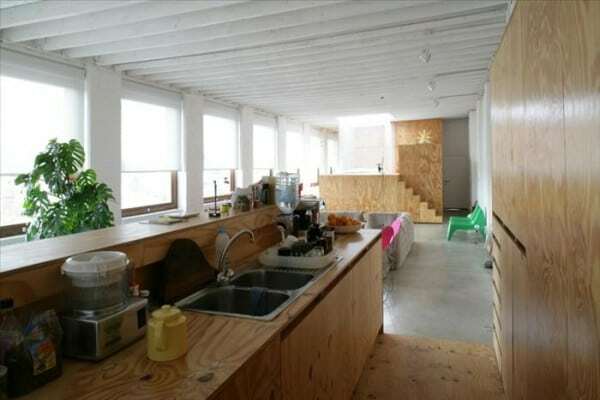 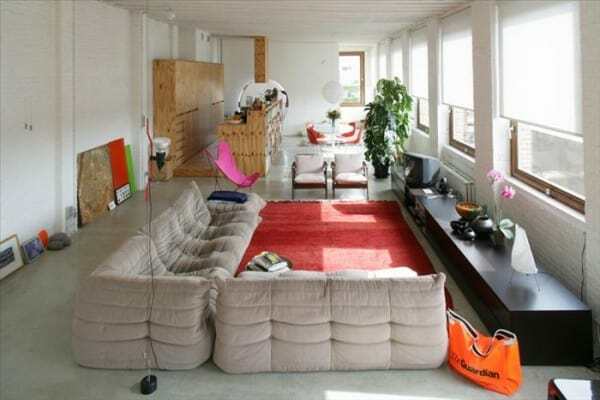 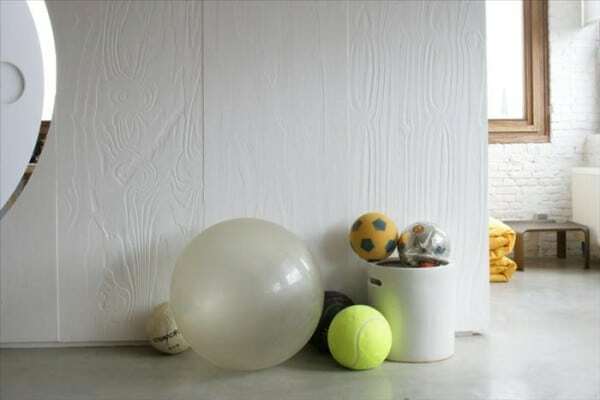 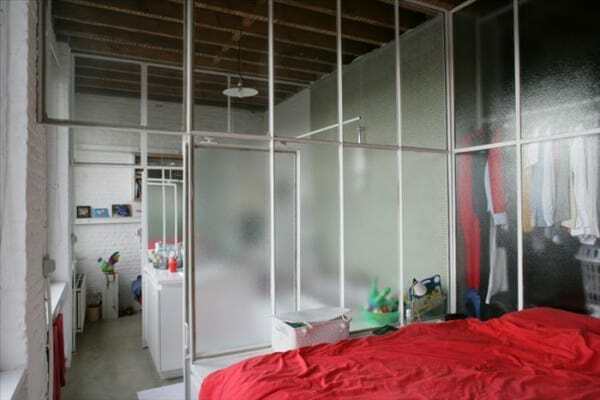 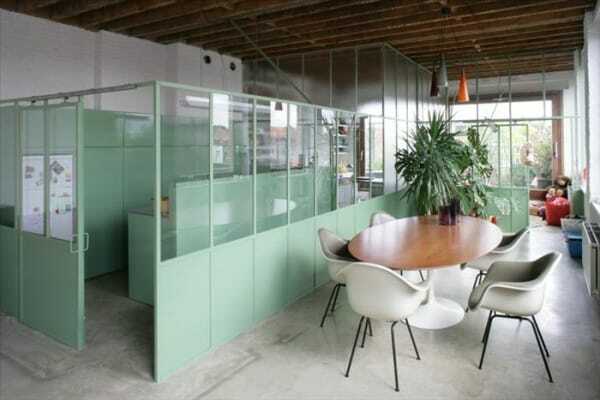 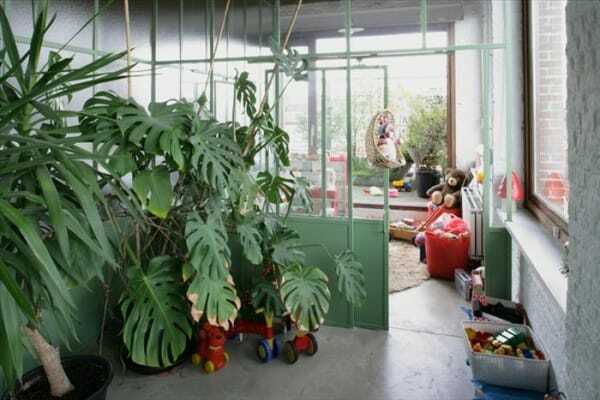 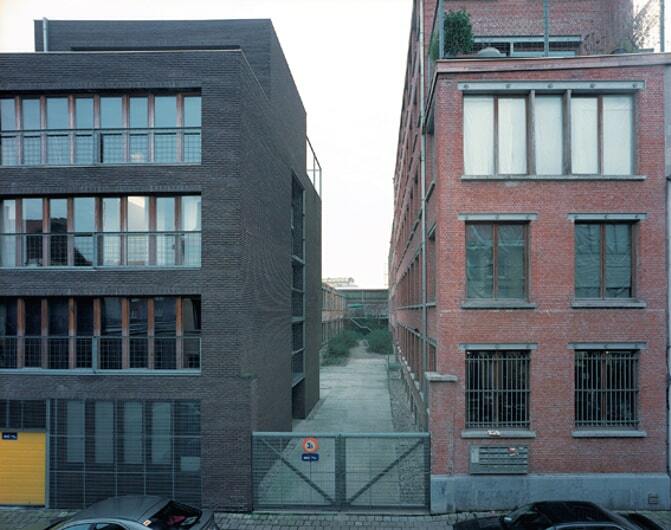 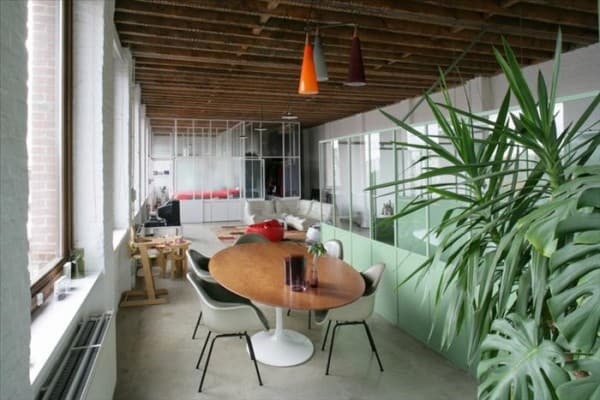 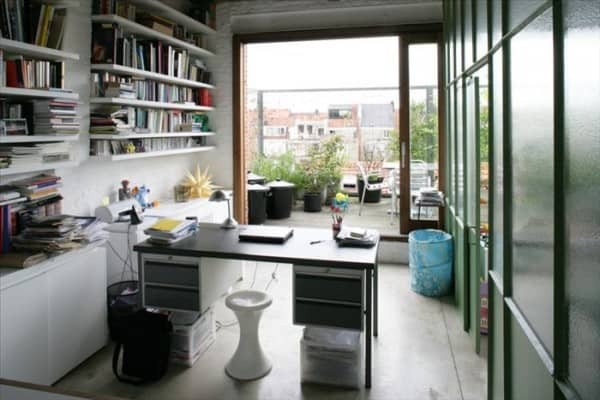 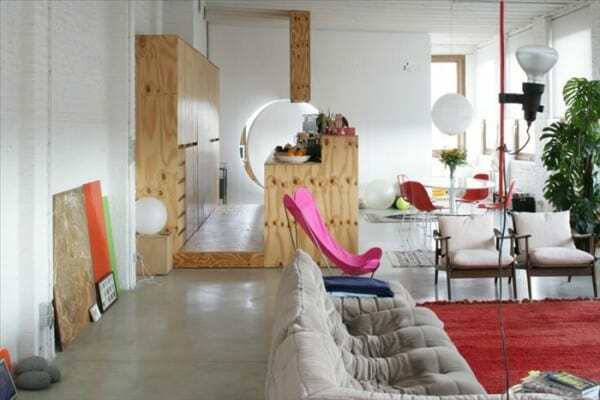 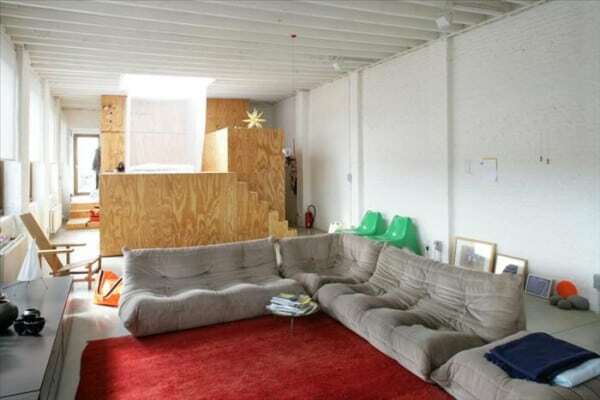 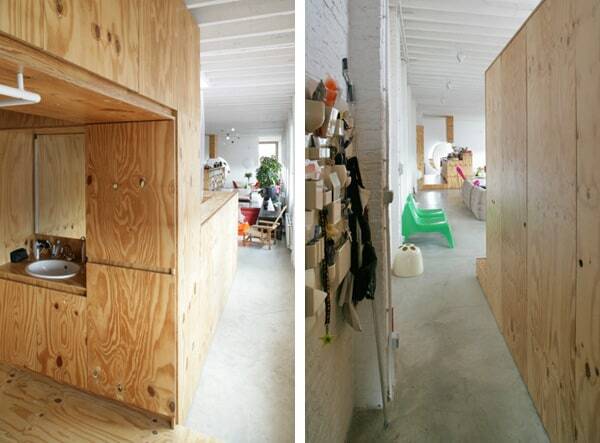 This incredible modern and spacious loft-apartment is located in Antwerp, Belgium. 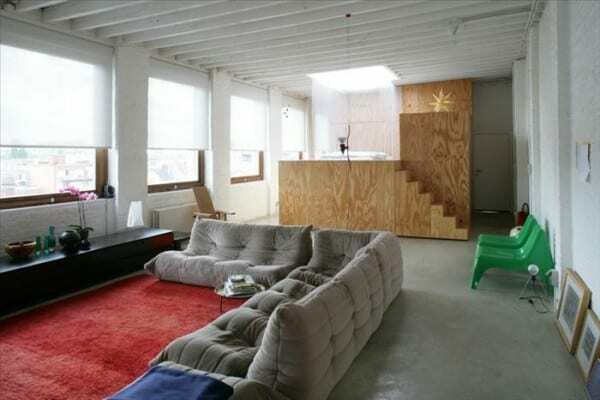 The loft is situated in a building that was once an old diamond cutting and-polishing shop, which was renovated and reorganized into a housing development. 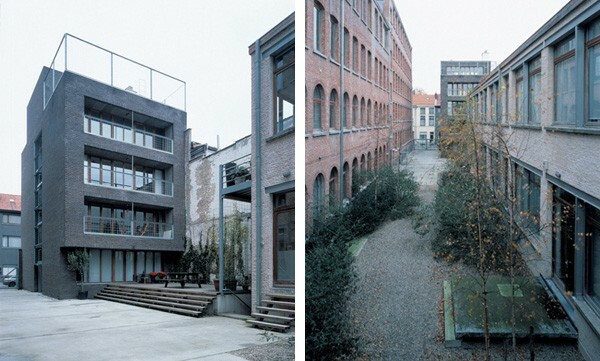 The spectacular conversion is comprised of 26,909 square feet (2,500 square meters) and has been divided into 19 individual housing units. 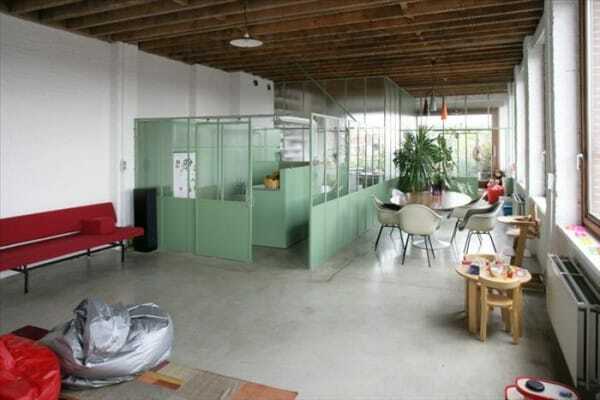 Some of the units were constructed in the old lofts and the other half was housed in an additional newly constructed building. 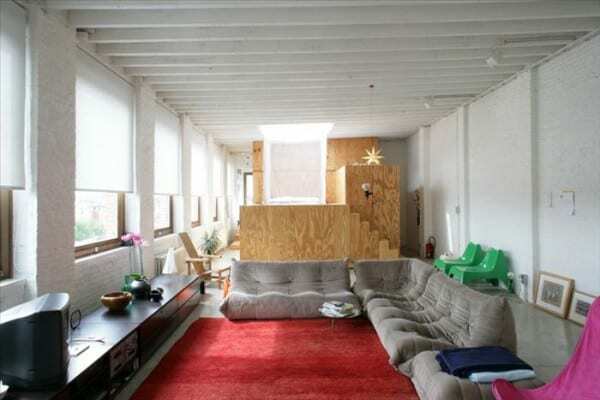 As you can see by the pictures, there were areas that were preserved from the original structure and re-purposed into functional interiors. 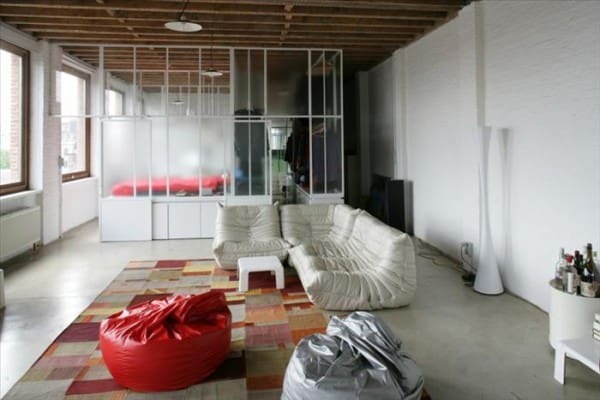 Exposed brick walls have been painted white and the original ceiling structure has been left exposed, the flooring has been left as concrete. 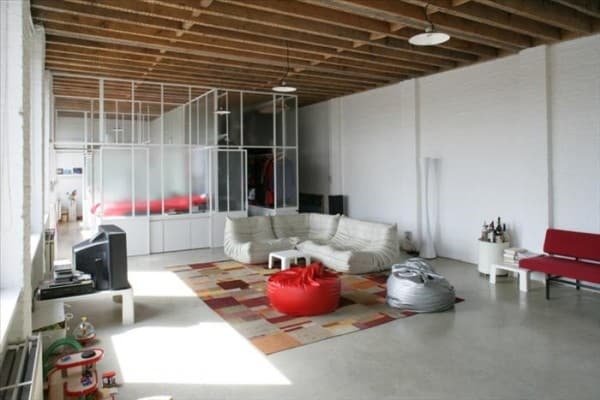 With modern furnishings and an industrial feel, the open concept floor plan is nothing short of spectacular. 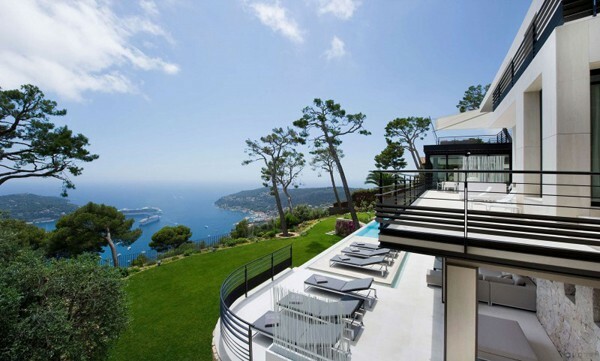 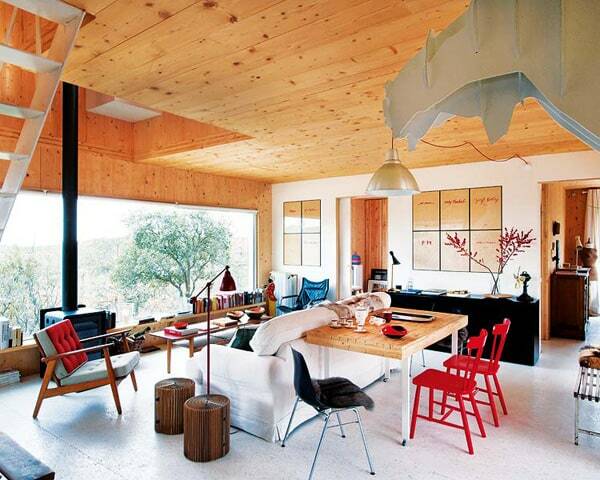 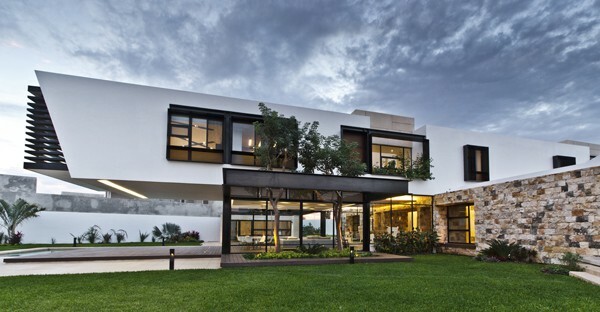 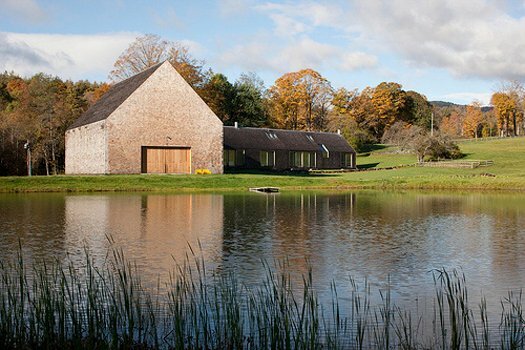 What do you think of this project, were the architects successful in their design? 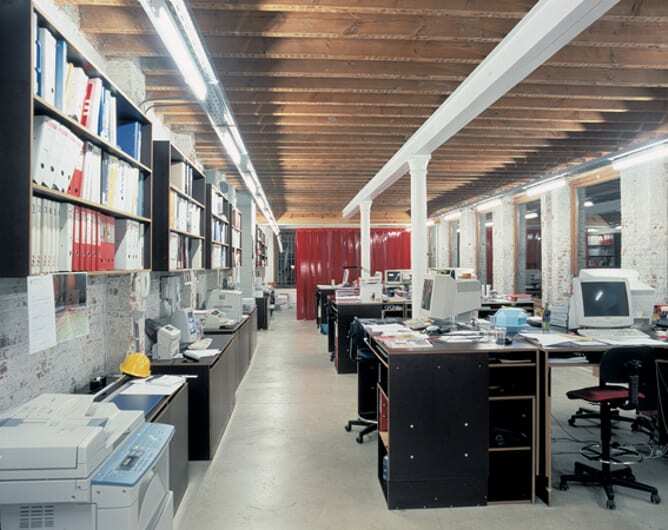 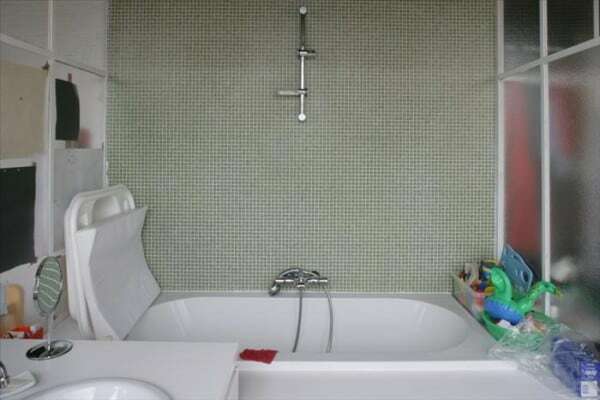 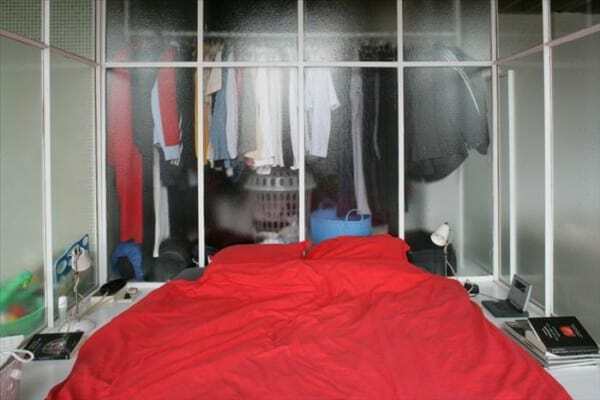 The interior of the building prior to the renovation and conversion.